In addition to its neurological benefits, Gotu Kola has long been recommended for the treatment of scars and has been used as a topical cream in a comprehensive scar management programs. According to pharmacological studies, one outcome of gotu kola’s complex actions is a balanced effect on cells and tissues participating in the process of healing, particularly connective tissues. One of its constituents, asiaticoside, works to stimulate the regeneration of skin cells and underlying connective tissue. 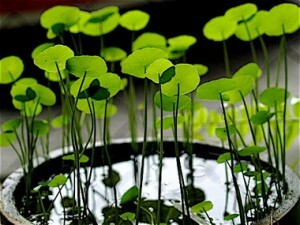 In a study published in Annals of Plastic Surgery, gotu kola accelerates healing of burns and minimizes scarring. Observationally, it was found to improve scar maturity from an average of six months without treatment to three months with treatment.